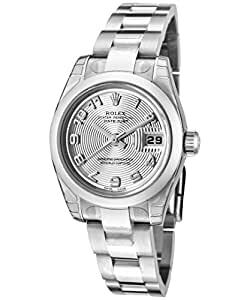 This Rolex timepiece may be a store display model. Store display models have NEVER been used. While we are not affiliated with Rolex USA these items are 100% authentic and purchased directly from suppliers who were authorized dealers. Take advantage of these amazing discounts simply because these items were displayed in a store.